DONNA — The Donna school district is investing in universal full-day pre-K to give their teachers and youngest students more instructional time, which is among the primary reasons for taking such action. This is Azaiez’s first big implementation as superintendent after taking the leading role July 10. The move had already been looked into by administrators, he said, as far as the expense and other organizational needs. But this time, there was money available to make the transition through a federal grant given to the districts for intervention programs in high-poverty areas. 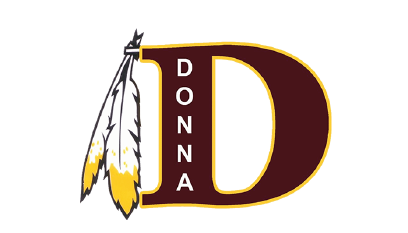 In the case of the Donna school district, Azaiez said they chose to use the grant to fund the full-day program, which amounted to about $500,000 to $600,000. Officials see it as a proactive measure that can be considered early intervention. enrollment initiative. One of the immediate goals is to get students reading as early as possible and to increase the number of students reading at grade level by second grade, Azaiez said, which will continue to be tracked along the way with expectations of improvement at early stages. Part of the grant is going to the purchase of research-backed curriculum for the program for which teachers will receive training by the end of the summer. The curriculum includes more time on subjects such as phonics, math and science, as well as allocating space for fine arts and physical education. The district already tracks reading levels, he said, but the program will be evaluated constantly throughout this initial year to make any necessary changes or make sure the emphasis remains. When it comes to teachers, the district was able to relocate about 10 teachers for the pre-K program that were seen as an “overage” by either putting them in support roles or in classrooms with low student count, Azaiez explained. By reallocating these teachers, using part of the grant money to pay them, and also doing away with a second bus route that was needed to transport two groups of students to-and-from home under the former half-day pre-K program, the district was able to save close to $1 million for the program. The move is expected to attract more families from those who might have left the district seeking the full day program for their children and ended up moving their entire family, to new families who might then be more inclined to put all of their children in the same school or same district thanks to this option. Registration at the Donna school district started Aug. 6, for the pre-K program and on the first day of enrollment the district had already surpassed last year’s numbers by going from 16 students to 72. For the first week of registration alone the district saw 147 completed registrations this year, compared to 54 during the first week of the 2017-18 school year. The program will not be capped, as Azaiez expects to sustain the growth of the program over the years with additional funding from increased enrollment.